If the release of the Air Jordan 5 and Air Jordan 1 wasn’t enough, Jordan Brand will also be releasing the Air Jordan XXX1 Low Camo. As far as patterns are concerned, camo seems to be the most popular go to design for the past couple of years in the footwear industry. 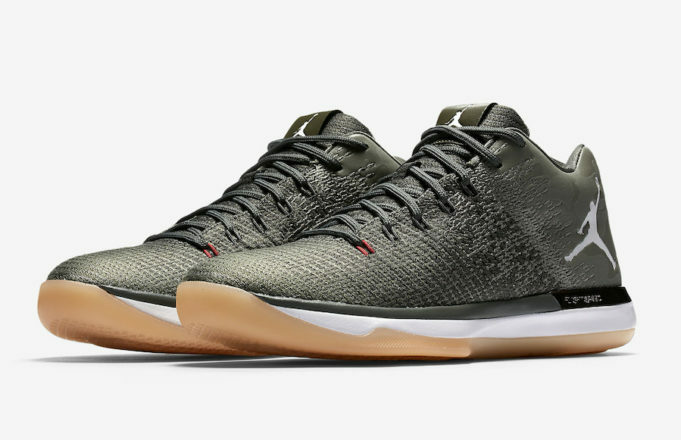 The Air Jordan XXX1 Low Camo is a subtle, yet tasteful new comer to the game with its metallic copper heel accent, traditional olive green, upper, and gum outsole. Furthermore, it sports Grey tones along its FlyWeave upper, as well as 3M reflective synthetic camouflage heels. Let’s not forget the iconic White Jumpman logos that rest at home on the heel and tongues. We’ll also be getting some red lights on the Flywire cables. The Air Jordan XXX1 Low “Camo” will be released on August 18th at select Jordan Brand retailers and will retail for $160 USD. What do you think of this newest release?